“Biohackers explores fundamental changes occuring in the circulation and ownership of scientific information. Alessandro Delfanti argues that the combination of the ethos of 20th century science, the hacker movement and the free software movement is producing an open science culture which redefines the relationship between researchers, scientific institutions and commercial companies. 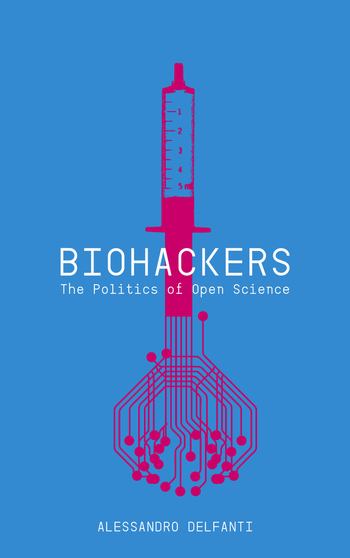 Biohackers looks at the emergence of the citizen biology community ‘DIYbio’, the shift to open access by the American biologist Craig Venter and the rebellion of the Italian virologist Ilaria Capua against WHO data-sharing policies. “Digital Labor calls on the reader to examine the shifting sites of labor markets to the Internet through the lens of their political, technological, and historical making. Internet users currently create most of the content that makes up the web: they search, link, tweet, and post updates—leaving their “deep” data exposed. Meanwhile, governments listen in, and big corporations track, analyze, and predict users’ interests and habits. Contributors: Mark Andrejevic, Ayhan Aytes, Michel Bauwens, Jonathan Beller, Patricia Ticineto Clough, Sean Cubitt, Jodi Dean, Abigail De Kosnik, Julian Dibbell, Christian Fuchs, Lisa Nakamura, Andrew Ross, Ned Rossiter, Trebor Scholz, Tizania Terranova, McKenzie Wark, and Soenke Zehle. Reviews: Sebastian Sevignani (triple C, 2013), Andreas Wittel (Inf, Comm & Soc, 2014), Stephanie Anne Brown (Transformative Works & Cult, 2014), Gregory J. Downey (J Assoc Info Sci & Tech, 2015). 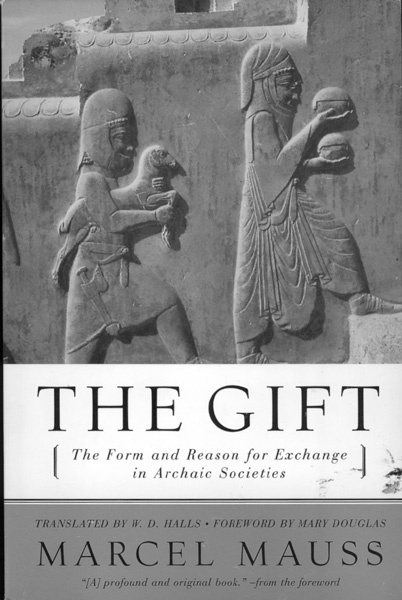 “The Gift is a short book by the French sociologist Marcel Mauss and is the foundation of social theories of reciprocity and gift exchange. It is perhaps the first systematic study of the custom, widespread in primitive societies from ancient Rome to present-day Melanesia, of exchanging gifts. The gift is conceived as a transaction forming part of all human, personal relationships between individuals and groups. These gift exchanges are at the same time moral, economic, juridical, aesthetic, religious, mythological and social phenomena.